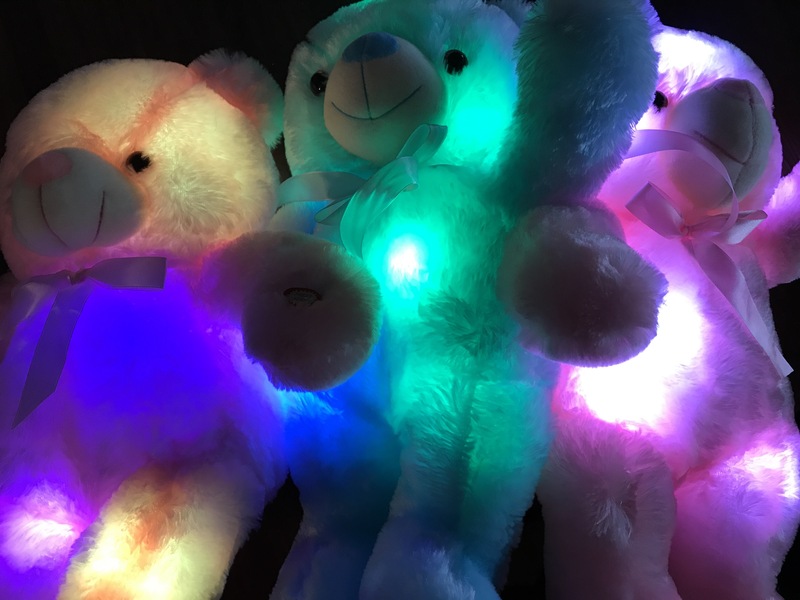 The girls were having some problems with the LEDs in a couple of stuffed bears. Mom thought there might be a short in the wiring because they’d work for 10-15 seconds and then the LED sequence would freeze up or turn off. Before tearing into the bears I got out my multimeter (has become quite the handy dandy tool for me) and tested the batteries, which had been straight out of a package when they were used in the bears. 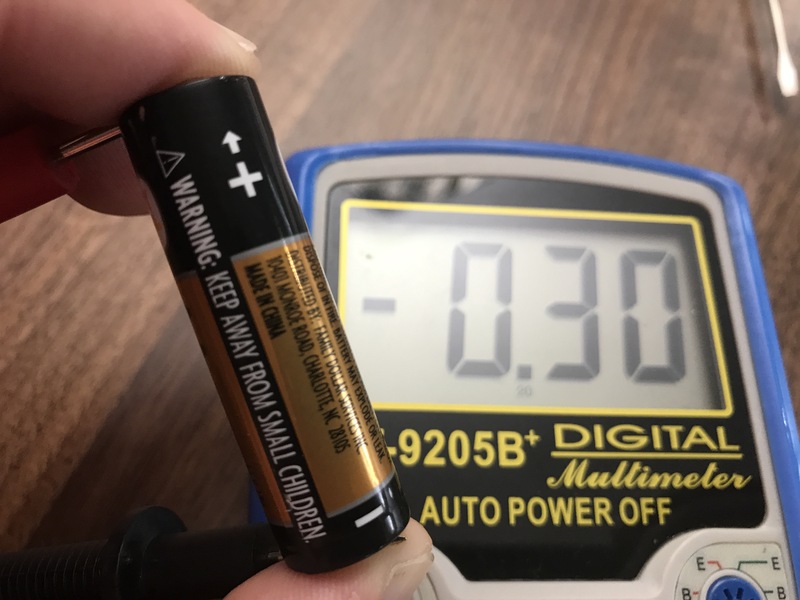 Two of the AA batteries were reading right around the expected 1.5v, but the other was -0.3v, as shown above. I’ve never seen that before, so I did some Googling. Any type of battery can and will begin to charge a dead cell in reverse if you keep trying to draw current out of it. Remember, a battery is a series connection of cells, so in any pack regardless of chemistry, a dead cell once depleted is going to be subjected to voltage reversal. It looks like something happened to reverse the polarity during manufacturing or the battery was DOA and got charged in reverse from the other two AAs. After replacing the batteries all of the bears work again. It’s a good reminder to check your power source when things don’t work.